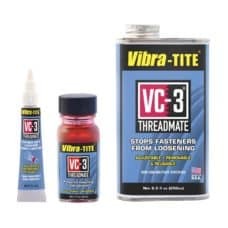 Vibra-Tite Brand Threadlockers, Sealants, Adhesives & More. Viz-Torque is an inspection paste applied across completed fittings, assemblies, nuts, bolts and studs to show whether a part has been moved from its original position. Dykem is a registered trademark and Cross Check is a trademark of Illinois Tool Works Inc. Delaware. Welcome to Vibra-Tite, one of the world’s market leaders in anaerobics, cyanoacrylates, epoxies, urethane, and ultra-violet technologies. 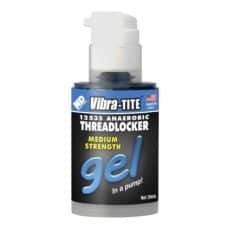 Vibra-Tite, the bottled product line owned by ND Industries, is one of the world’s market leaders in anaerobics, cyanoacrylates, epoxies and ultra-violet technologies. Vibra-Tite materials can be compared to other name brand products, but at a COST SAVING OF UP TO 40%. As a fully integrated supplier, we’re a one-stop source, providing design engineering, custom chemical formulations, and distribution. At Vibra-Tite, we value our customers and their individual needs. Unlike other big brands, we work directly with distributors, OEMs, or end-users, to develop and manufacture materials that meet their exact specifications. Our sales and support team is always on hand to answer your questions no matter how technical they may be. Private labeling offers distributors and suppliers the ability to build brand loyalty while offering customers cost savings and an alternative to generic brands. Our private labeling requirements are significantly lower than most manufacturers making start-up cost effective and timely. Distributors of leading brand adhesives and sealants have seen margin erosion due to marketplace saturation. In addition, MRO customers have mandated cost savings from their suppliers. This provides an opportunity for distributors to switch to Vibra-Tite and receive increased margins while passing on cost savings to their end users, without sacrificing quality. Vibra-Tite bottled products are used throughout the world in Industrial, OEM, MRO and consumer markets. Use our product tables to compare formula specifications and cross reference competing part numbers. Vibra-Tite facilities are fully ISO certified and all our products are REACH, ROHS and Dodd-Frank Conflict Mineral compliant. Safety data sheets (MSDS/SDS) and Technical (TDS) datasheets are also available for download. Learn about whats happening at Vibra-Tite by accessing our latest press releases, product sell sheets, advertisements, and videos. You can also view some of the most frequently asked questions. Having trouble choosing the right product? We’re happy to help! Answer a few quick questions and we’ll get back to you with a recommendation. Market leaders have over saturated distribution leading to compressed / eroded margins and the loss of business to competing distributors. Vibra-Tite distributors make higher margins while offering cost savings to end-users. Build brand loyalty by private labeling. We can provide custom label design and production, filling, and packaging services with minimum quantity requirements typically much lower than our competitors. Let us develop custom adhesive and sealant products to your exact specifications. With 10 full-time, and two 2 Ph.D. chemists, our team has the experience to formulate a wide range of technologies. Conducting a variety of tests on threaded fasteners, adhesives, sealants, coatings, and mastics for the automotive, aerospace, and electronic industries. ISO/IEC 17025 accredited through the A2LA. 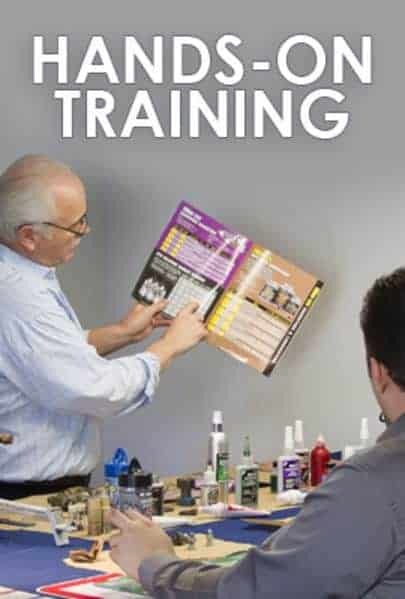 ND Industries, parent company of Vibra-Tite, annually manufactures over one million pounds of a wide variety of adhesives, anaerobics, epoxies, urethanes, anti-seize compounds, ultraviolets, acrylics, and more. Leverage our manufacturing experience to contract blend your chemical formulations for industrial and commercial use. We can help you reduce costs, cut down on lead times, and improve the quality of your products. 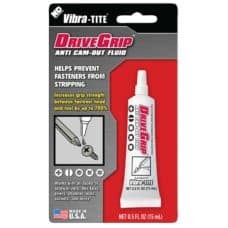 Vibra-Tite is a real-value proposition. Our objective is to offer the highest quality products at the best value. ND Industries is committed to remaining on the cutting edge of innovation. Our team of highly educated and experienced chemists will continue to catapult ND Industries as a leader in pre-applied and user-applied adhesives, sealants, and specialized coatings. With over 30+ years in the Shooting Sports Industry and Archery Trade, I’m your go to guy for OEM and special makeups.